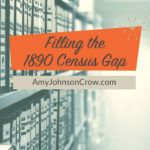 Finding your ancestor in the census is a great way to extend the family tree, but what do you do when you just know he should be there, but he isn't turning up in your searches? When that happens, it's time to stop searching and start browsing old school style. 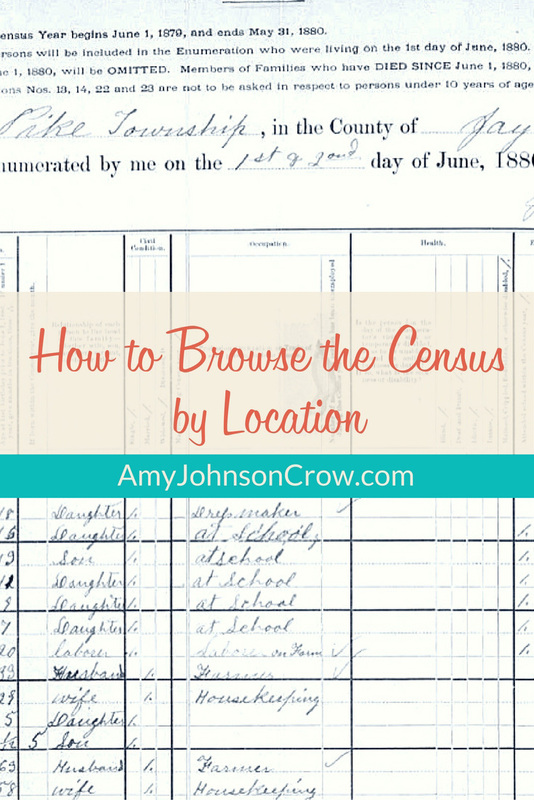 Here's how to browse the census by location in both Ancestry and FamilySearch. Note: Even though the examples I show are from the U.S. federal census, the same technique can be applied to other censuses collections on Ancestry and FamilySearch (as long as they have the images). Press the play button and follow along with this short video. I do find it kind of ironic that back when we only had microfilm, we cried when there wasn't a printed index. Now we cry when the index doesn't give us the results we're looking for. Sometimes you just have to skip the index altogether. 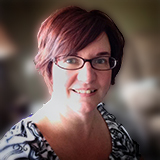 Click to get your free guide "5 Search Strategies Every Genealogist Should Know"
This entry was posted in Records and tagged Ancestry, census, FamilySearch by Amy Johnson Crow. Bookmark the permalink. Very helpful video, Amy. I did not know this! I am eager to go try it out as I have several ancestors who I know where in a specific location but for some reason don’t come up in the regular searches. Great suggestion! I’ve had to browse censuses by location in the past and that’s the only way I was able to find my ancestors – transcriptions are sometimes incorrect because the handwriting was not legible. My Tobias Kavanaugh ancestor was transcribed as Fabian Karnak. Good thing we knew where the family lived. Tobias Kavanaugh as Fabian Karnak?! Ouch. When there are a lot of enumeration districts (ED) in your area of interest do you have any hints of narrowing it down. I have tried using the ED found in earlier or later census but still have not found my family. Sometimes the ED were changed and then I’ve ended up looking at all the ED I had the time to browse. This has rarely been successful. my next selection are the ED that other family members may be living in, in that area. I know he is in the area because he was married the year prior and the first child is born there. I’m thinking they were in one of those Unoccupied houses on the census. For censuses prior to 1900, your best bet is with the “Census descriptions of geographic subdivisions and enumeration districts” (NARA microfilm publication T1224). It is arranged by census year, then by state. The images are available on FamilySearch. You have to access it through the catalog. 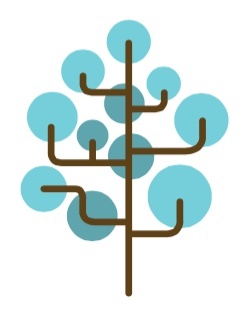 Here’s a link: https://familysearch.org/search/catalog/results?count=20&query=%2Bsubject_id%3A870702 I hope this helps! Amy, Thank you for sharing such a great tip ! Years ago,scrolling page by page was the norm on Ancestry until they had everything indexed;I found many of my people using these same search techniques…nothing wrong with going “old school ” ! This is really one of the great hints that you’ve given. Having searched over and over and over again for certain relatives, it never occurred to me to search by location. Having seen names badly interpreted on Ancestry, I think searching by area might yield the information I have searched for, for so long. Love your hints and thank you very much! Thank you for these great tips on searching a census. Can’t wait to try them out here in Australia. I have not been able to find my parents in the 1940 census. They lived in Lansing, IL in 1937 (I have the address) and I was born in Grand Rapids, MI on May 2, 1940. In Grand Rapids we lived in an apartment in a 4-plex my grandparents owned until 1944, which I remember. In scanning the census records for those addresses, there are other people living there. I have looked at the entry for my grandparents and for any other relatives my parents had in Grand Rapids with no luck. I’m thinking that they were in the process of moving from Lansing to Grand Rapids and somehow missed being enumerated. Any suggestions? Great question, Judd! The official census date was April 1, 1940. If your parents were in the middle of a move, they might have been missed. However, I would suggest two things. First, since you know the address where you think they were living, scroll through the images for that enumeration district until you get to the end. People who were missed the first time the enumerator visited were added on at the end of the enumeration district (presuming they were questioned on a second visit). Do the same thing with the address where they had been living in Lansing, IL. I would also do a search for them playing around with omitting different parts of their name (presuming they aren’t named John and Mary). Do a search without their last name; do a search with only the last name, but including something else like birth place and year of birth. Good luck! Thanks, Amy. I hadn’t thought of looking at the end of the ED. I’ll do that. I’ve tried some name variations but I could do more. I’d like to suggest to your readers that when they find someone in the census, they scan a couple pages before and after to find other relatives. This has worked for me several times. I’m sorry, Philip. I will email the link to you. This does remind of the day of the microfilm searches at the library – nearly went blind – this is much easier & can be done in the comfort of home. Thank you for this tip and reminding us that sometimes we have to start back at square one. I have been looking for my 2nd great grandfather’s parents for over 20 years – supposedly born in Bibb Co., GA in 1848-1850. It’s hard to find a 10-12 year old with the last name Martin! Just found you site. I have a family that I cannot track from. Illinois to North Dakota 1890. No trace of them in Illinois other birth records etc. These people do not exist on any census records . Do you have any ideas were to look?